Leading vs. Managing – There IS a Difference! 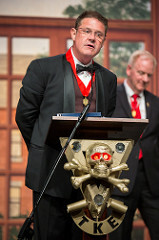 This article is written by Timothy J. Murphy, Order of the Golden Eagle, Past Chief Executive Officer, Tau Kappa Epsilon International Fraternity. Leadership vs. Management is Part 1 of an 8 part series on leadership. Leadership is a term we hear a lot in the Fraternity, and we rely on our Fraternity’s leaders for many things; inspiration, guidance, programming, and opportunities for fun and fellowship. Leaders in all areas of the Fraternity are tasked with creating an environment in which we can thrive and fulfill our mission. With skilled leadership in our Fraternity, the Teke experience will always be a positive force in the lives of our members. Every “layer” of the Fraternity requires talented leaders; our chapters, officers, committees, and task forces. Each one of these segments has a leadership structure, and the associated leaders have distinct roles to fill. But are we really leading? Or do we find ourselves managing these groups rather than leading them to their high potential? Following is some insight on how we can increase the effectiveness of our leadership efforts, benefiting your members and creating a more personally-rewarding experience for you. The truth of the matter is that all leaders – especially our officers – do in fact engage both. In our culture, it’s hard not to. And we all have to be good at both. Certain functions and systems must be dealt with in a timely manner. The email newsletter has to get out today; the chapter calendar has to be updated; the event preparations have to get finalized; the bank accounts have to be reconciled; the critical correspondence and reporting has to get done; and the list can go on. But the trick is to spend more time leading rather than managing, and knowing the difference. As Fraternity men, we are in the people business. In order to attract new members to your chapter – and to TKE in general – you must be perceived as a leader; a personality others want to emulate and follow. You probably already have the traits and skills necessary to really perform your leadership roles well. Don’t be afraid to showcase them, and embrace and encourage the potential greatness of your members. Following is a short list of critical skills that, when consistently employed, will help you move your members from good to great. Trust – You trust your members, and your members trust you. Your word is “gold”, and you are perceived as above reproach. Trust is earned, and your interactions with your brethren reinforce that aura of trust. Caring – Your members know that you care about the organization as well as the individual members. You care about the group being successful in its endeavors, and enjoy seeing your fellow members individually succeed in theirs. Intelligence – Those of you who are tasked with leading are completely comfortable that you have the Fraternal and business acumen to visualize success and understand the processes to get there. The Fraters are proud to have you as their spokesman. Visionary – You are constantly visualizing new and innovative ways to engage members in fun and enjoyable activities. You dream big, and share that vision with others. Over time, the enthusiasm you build by being optimistic and goal-oriented will become infectious. Member-centric – This is simply a fancy term meaning that your energy and programming are focused on the needs and desires of the members. Their priorities are your priority, and you lead the group and all its efforts accordingly. Your members are your number one concern. Checked Ego – All great leaders have healthy egos…it’s normal and natural. But whether you are the Venerable Grand Prytanis; the Prytanis of your chapter; or the Grand Province Advisor; the Chapter Advisor; or occupying any other leadership role in the Fraternity - you never believe it’s about “power” or “all about you”. You never display an attitude of “outranking” anyone else in the group; you’re merely presiding for now. You take joy in serving your members, and they can feel that. The “Human Magnet” Effect – Really great leaders are just that…”human magnets.” People want to be with them, and they attract friends wherever they go. Brothers and potential recruits enjoy their company, and want to be associated with them. They know how to have fun – but more importantly, they know how to create fun. 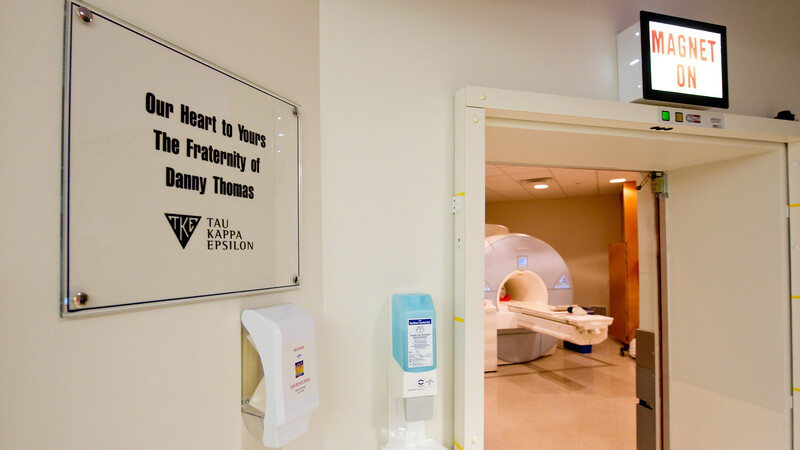 One of the tangible member benefits of Tau Kappa Epsilon is leadership development; the Fraternity provides opportunities for you to make a difference in your Chapter and in other volunteer roles. Whether or not you ever perceived yourself as a “leader”, you probably have these attributes within you to build your membership and make a critical difference in the lives of your Fraters. And you’ll have fun doing it. Part 2 The Chapter Leader’s Toolbox of Excellence can be found here. Chapter Websites: How do you use them?